PBS kicks off the Downton Abbey TV series sixth and final season, Sunday, January 3, 2016 at 9:00pm ET/PT. 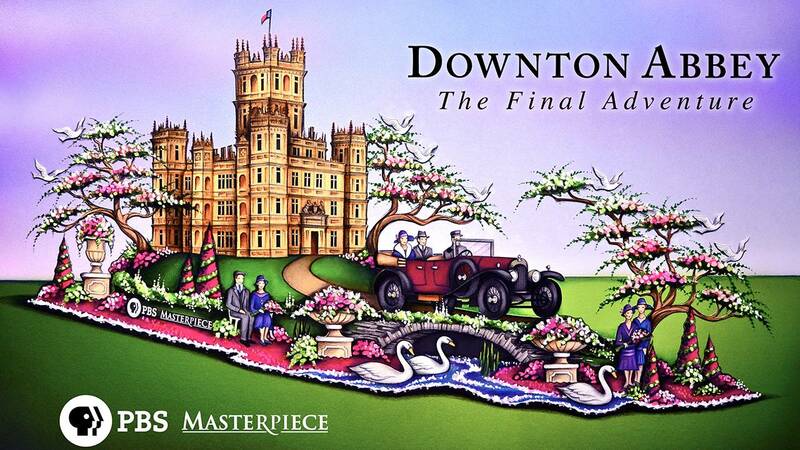 Before that, PBS will celebrate Downton Abbey‘s series finale with a float in the 127th Rose Parade®. What’s more, star Elizabeth McGovern (Cora Crawley), will be sitting pretty, atop it. The Countess of Grantham is the only Downton Abbey character publicly confirmed to be riding the float, but PBS implies McGovern is not the only cast member in the parade. Will milady be accompanied by Hugh Bonneville, Laura Carmichael, Jim Carter, Allen Leech (this reporter’s bet), or someone else, entirely? 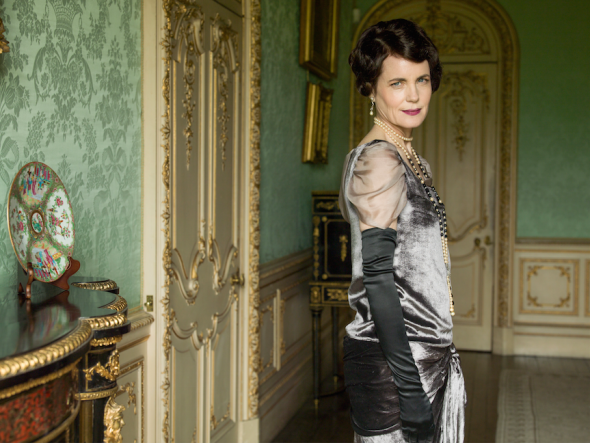 ARLINGTON, VA; December 21, 2015 — PBS today announced that “Downton Abbey” on MASTERPIECE cast member Elizabeth McGovern, who portrays Cora, Countess of Grantham, is among those confirmed to ride a float celebrating the show in the 127th Rose Parade® on January 1, 2016. Is McGovern confirmed among all float riders, or among riders of the Downton Abbey float? The “1919 Bentley driven by the family chauffeur,” mentioned in the press release, just begs for Allen Leech at the wheel, does it not, Branson? Or should we call you Tom? The 127th Rose Parade® will be broadcast live in the U.S. beginning at 11:00am ET, 10:00am CT, and 8 a.m. PST, on Friday, January 1, 2016. Please check your local broadcast listings for more information. Per the 127th Rose Parade®, its broadcast partners include: ABC, Hallmark Channel, HGTV, NBC, Univision, and more. Are you a fan of the Downton Abbey TV show? Will you be watching the sixth and final season of Downton Abbey on PBS? Will you tune into the 127th Rose Parade®, to catch McGovern on the float? Tell us, and have a Happy New Year! More about: Downton Abbey, Downton Abbey: canceled or renewed?